Throughout last year, Frontend.com worked with the United Nation’s migrant agency, the International Organisation for Migration (IOM), to conceptualise a Future Vision for Migrant Healthcare. This collaboration was part of Frontend.com’s DesignFix programme and involved input from Trinity College, NCAD, IT Carlow, and the University of Limerick. Since launching the initiative publicly last September, Frontend.com has continued to work with IOM to bring various parts of the plan to fruition. The collaboration has been recognised in both national and international awards (including recently being announced as the IxDA Interaction17 People’s Choice Award winner in New York) and also received media attention from around the world. 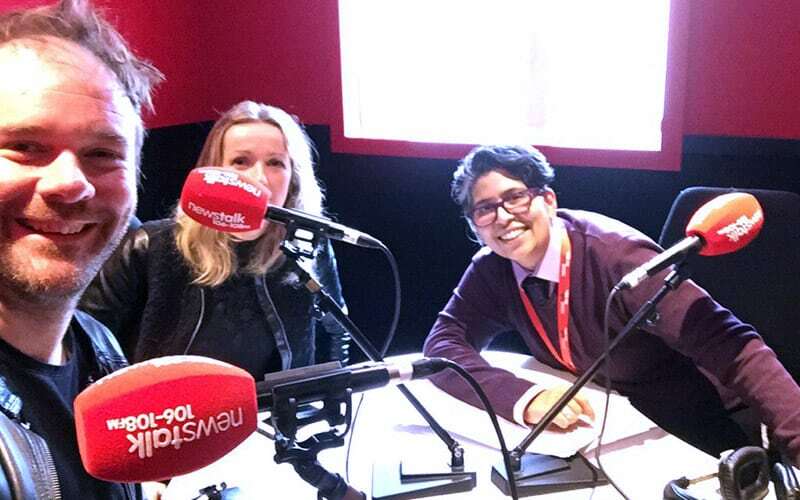 This week, our directors Fiona Murphy and Frank Long sat with Dil Wickremasinghe on Newstalk to discuss human-centred design and the healthcare challenges facing displaced people. Newstalk is the number one independent talk radio station in Ireland. Global Village with Dil Wickremasinghe is a groundbreaking social justice and mental health focused programme which has aired on Newstalk since 2008.